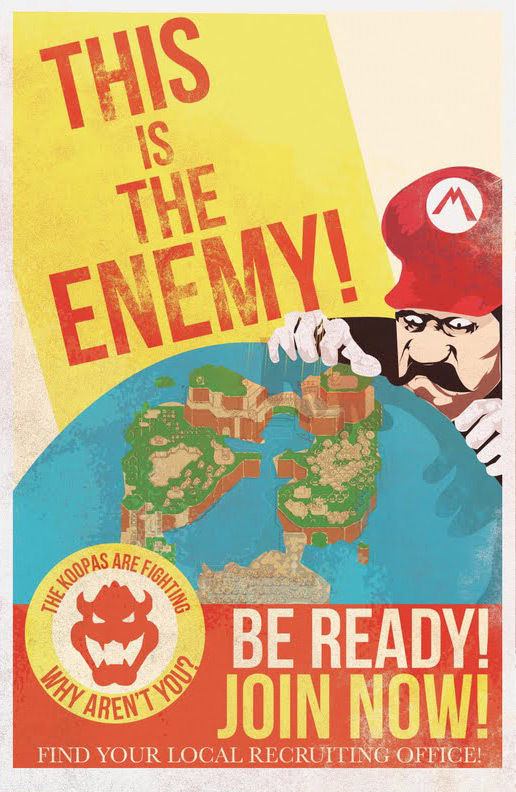 World War II-era fearmongering meets Nintendo-brand whimsy in Fro Design Co's new line of Super Mario Bros. propaganda posters. 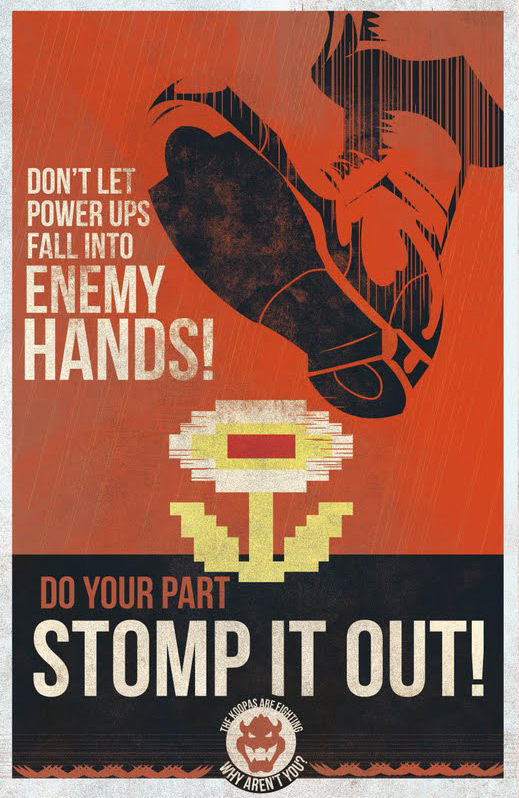 The limited-edition posters, which are available for purchase at the Co's site, seem part of some alternate-universe motivational campaign designed by whichever Koopa Kid learned psy-ops from Joe McCarthy. It should be noted that these designs aren't exactly all that novel. That image embedded at right, which happens to be my favorite of the selection, is pretty blatantly aping this US-depiction of Hitler. 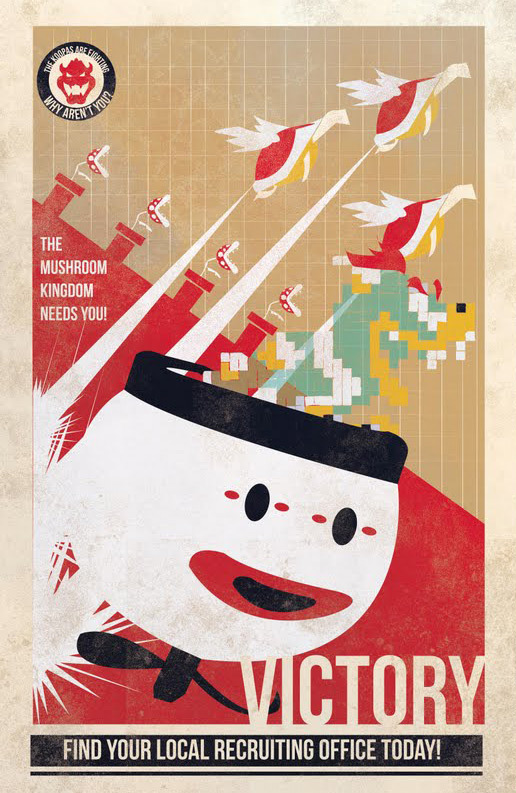 That said, the beauty in this line of posters is specifically not in its originality, but in the artist's remixing of all-too-familiar tropes; in this case, American propaganda and Nintendo's most famous characters. 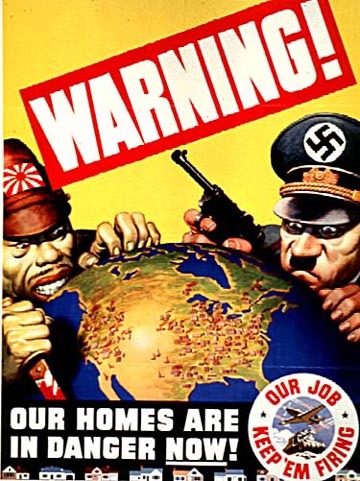 If I have one complaint however, it's that the artist failed to parody/homage any of the US military's hilarious anti-venereal disease posters. If it wasn't for the Department of Defense circa 1944, we'd all be describing our recurring syphilis symptoms in Deutsch. 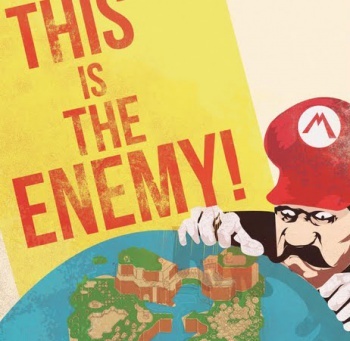 It remains to be seen how Nintendo will react to this news, but given the company's notoriously strict policies against anyone ever profiting on their intellectual properties, I wouldn't be entirely shocked to hear of Fro Design Co receiving a tersely-word cease and desist from the gaming giant. Translation: If you have a dorm room wall in need of something a bit less clichÃ© than the Pulp Fiction one-sheet, you ought to snag one of these posters as soon as possible. 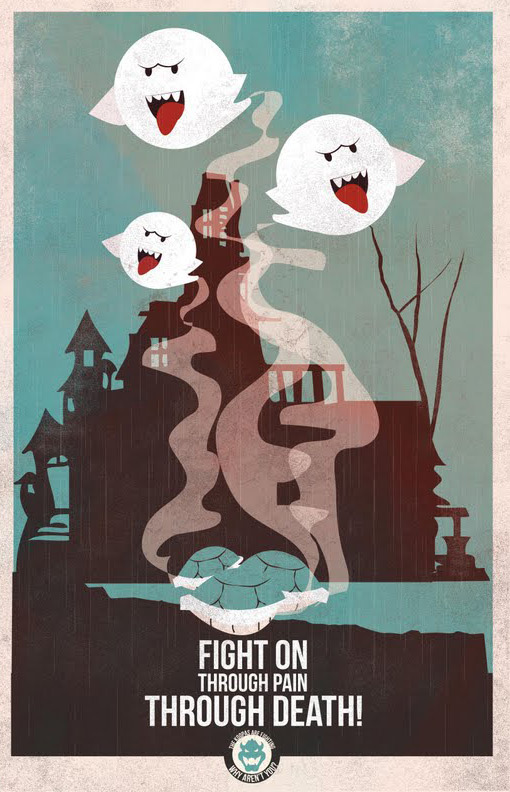 Trust me on this, college girls love gaming-themed, recursive, ironic graphic design. It's like catnip to them.